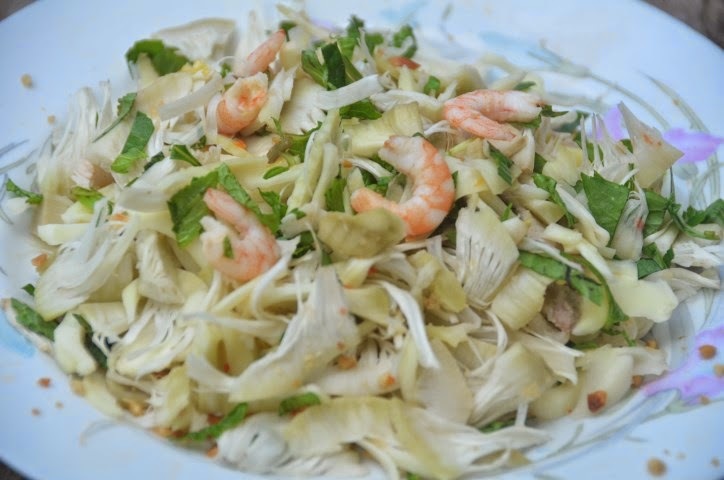 Gỏi mít non is a Vietnamese term for young jackfruit salad. 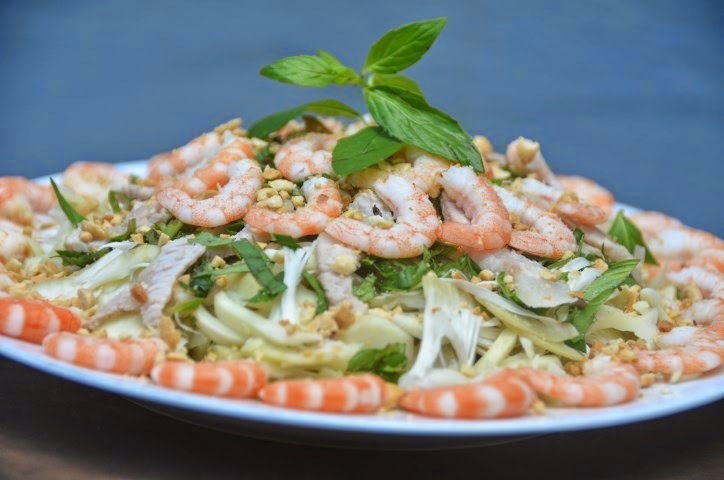 I had never eaten this prior to this trip (to Vietnam) but I have always wanted to taste it. Since I have access to the young fruits from my grandmother's backyard this was my opportunity to make it. Once boiled the young jackfruit does not taste anything like the ripe sweet ones. 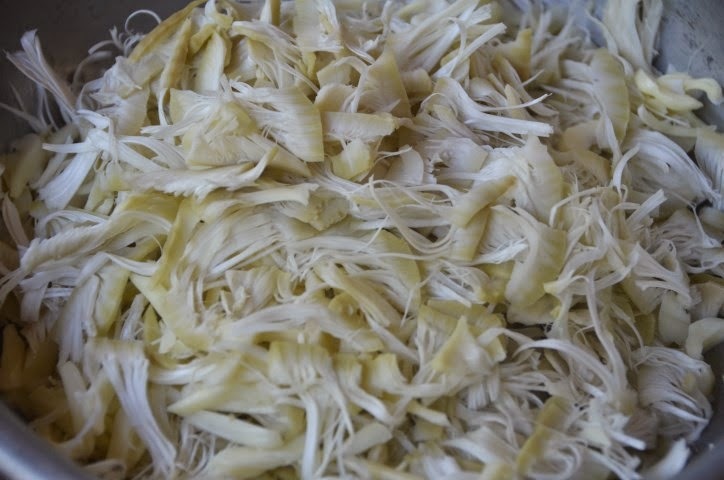 It is bland with a taste similar to cooked breadfruit. It takes on any flavor you add to this salad. Also the sap is gone once it has been cooked. 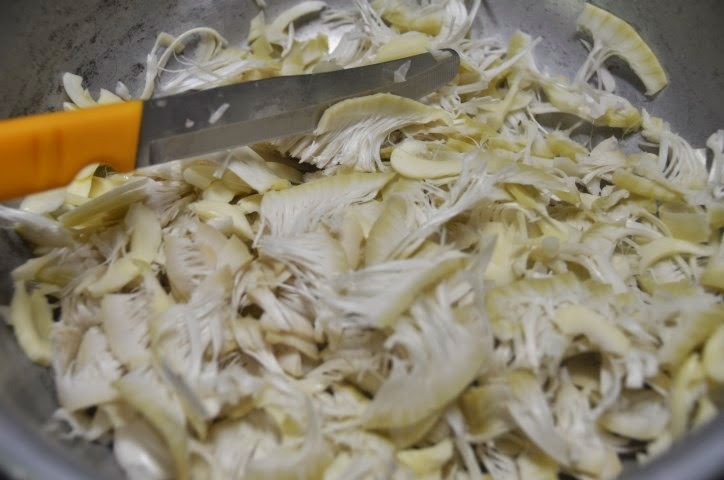 Please see my previous post on How to Prepare a Fresh Young Jackfruit for Cooking. 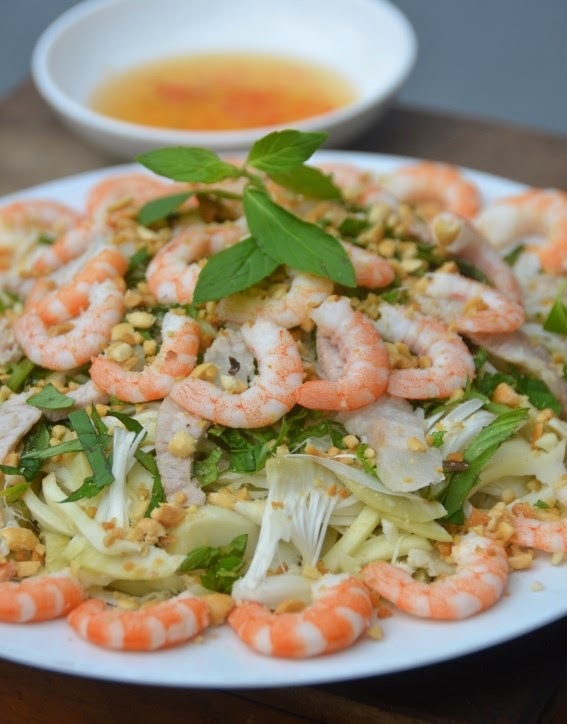 This salad is simple to make and delicious. I hope you get a chance to make this. Enjoy! Arrange the young jackfruit, shrimp, and pork into a plate or platter. Scatter peanuts and herbs on top. Drizzle the sauce prior to eating. *You may use other seafood or meat if interested. mix it well and enjoy!